Being a teenager is already a tough path in America today, but growing up in rural America is even harder. Studies over the past few years have shown that rural churches are shrinking, and the the problems facing teenagers in these small communities are growing. Back in March of 2017, Traci and I sat down with Doug and Dawn Routledge of Crossroads Farm and committed to partnering with their ministry in order to help reach rural youth in the county where we live (Kalkaska). Today we are raising our own salary and asking people to join us in prayer and monthly financial commitments, so that we can reach the more than 1,000 teenagers in Kalkaska county and beyond. Read on, and then prayerfully consider joining this amazing work. 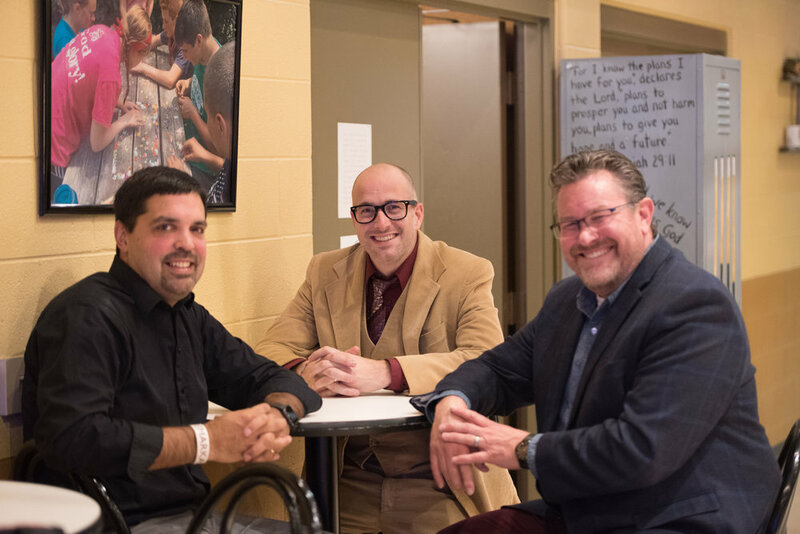 Two of the main tasks we would participate in for this new adventure would involve teaching students and training staff, two things we have been passionate about for the past 20 years of ministry. Crossroads Farm has a unique model that works in and through the local church to create a true win/win partnership for students, lay leaders and pastors. Our journey to Michigan that began over 5 years ago, is a journey that God has used to prepare us for this next adventure. While we wouldn't have picked the route God did (ha! ), we know His plans and directions are always best and we are precisely where we are supposed to be for the next phase of ministry. As 2018 gets rolling, we are thrilled, humbled and bit anxious to see what God has in store for the youth of our town, and for rural youth across America. Thanks for following our journey! Traci and I are honored to partner with the great people of Crossroads Farm. In the middle is Jerry Bernard, and it's with him and his wife Andrea that Traci and I will be planting Crossroads Farm, NW Michigan branch. On the right is Doug Routledge. Doug and his wife Dawn are the founders of Crossroads Farm and are leading the charge to reach the rural teenager across America! The image of pristine rural America has been absolutely shattered by recent studies and statistics. Click this link to read a study that reveals some of the challenges that are facing teenagers and churches in rural America. Or Click HERE to listen to a 30-minute radio interview about these issues. We couldn't be on this journey without the amazing support of our team. Nearly 200 people have joined our prayer team and over 50 people/couples/families have joined our financial support team. Would you consider adding yourself to both of those teams? Click to join Our prayer team and receive a weekly update each Tuesday, with a brief summary of the week and three prayer requests. Our financial partners help us generate a salary through monthly donations. Watch this video for more information, or CLICK HERE to join our team. Crossroads Farm makes giving easy, their process is secure, and they are ECFA Certified so that you know your resources are not being wasted.